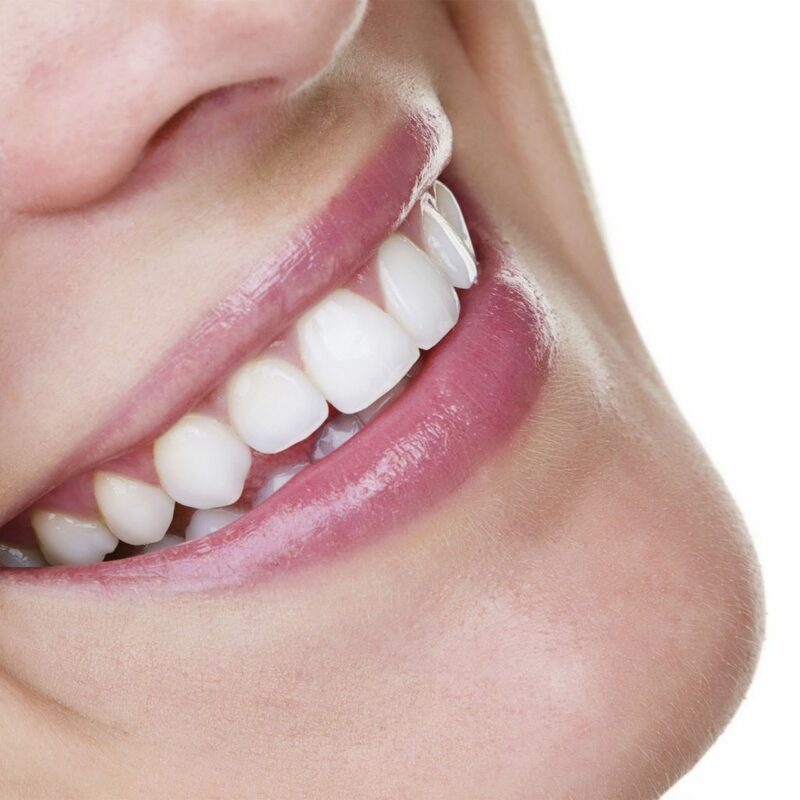 If patients want to naturally whiten their teeth, it is probably because they want to avoid the side effects from the chemical whiteners, to live a healthier life, to save money or all mentioned. Patients that have set a goal of having the whitest teeth possible, then their dentist dental bleaching treatments would give the best impressions. 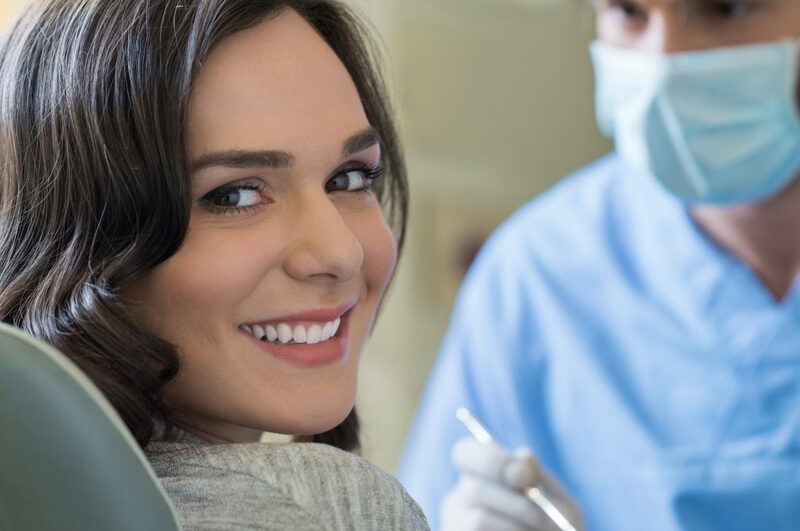 But, if patients have little dental stains or they simply want to keep their beautiful smile shiny, it is recommended to give these natural teeth whitening advice a shot. Many studies show that patients could whiten their teeth naturally with a simple use of crunchy fruits and also vegetables like apples, celery or carrots. To get the best benefit it is recommended to bite the raw fruit not to cut into slices. Eating fruits and vegetables is good not only for patient’s body but for their teeth too. 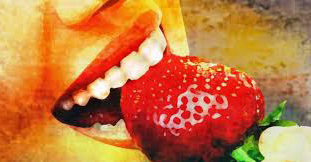 Strawberries are good for whitening patient’s teeth and get a sparkling smile. The mix of strawberry and baking soda is very effective and because of this, it is very popular among celebrities. It is not proved its scientific action but however, it is working. Patients should keep in mind that if they decide to give it a try to this method, they should limit its usage to several times per week. Pineapples contain bromelain that breaks up the accumulated plaque on patient teeth and helps in achieving a brighter smile. Spinach, lettuce, and broccoli contain iron which could create a film over teeth and this way it will resist and protects the enamel. Raw onions and shitake mushrooms contain ingredients that can reduce the bacteria in the patient mouth. Ginger is good for patient oral health because it is anti-inflammatory. Basil is reducing the bacteria in people mouth and it is a natural antibiotic. Studies have shown that consuming cheese after meals helps in repairing teeth, keeps acid in a low-level, and prevent decays too. Dairy helps in strengthen the teeth because of the calcium it consists. Nuts help in scrubbing the teeth because they are abrasive. Sesame seeds contain calcium that makes them extra good. 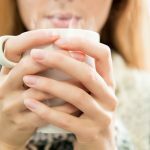 Drinking habits and drinks are important when keeping your teeth clean and sparkling. For all the patients it is important to avoid the sugary drinks. If they do, they can use a straw just to minimize the contact with their teeth. They should never swish drinks that contain sugar in their mouth. Black and green teas are having the advantage to kill and suppress bacteria because of the polyphenols found in them. But their main con’s is that they may stain. Some of the teeth discolorations are provoked by the erosion process of the enamel layer. This way the lower layer called dentin is exposed and gives a yellow color to the teeth. So, any product that strengthens the enamel will keep teeth pearly white. Patients should consume foods rich in calcium such as cheese, milk or broccoli. To keep their mouth hydrated, patients should drink a plenty of fresh water. This product is an Indian folk remedy made for improving oral hygiene and removing toxins from the body. Patients should practice swishing oil in their mouth. Indians use sunflower or sesame oil for making a pulling. It is a tradition in this country. Another possible option is the coconut oil because of its pleasant scent and taste. It is recommended to put one tablespoon of coconut oil and pull it trough the teeth. Keep it in the mouth for 15 – 20 minutes. This is an interesting fact because of turmeric colours everything and because of this fact it is strange how it can whiten patient teeth. But, somehow it does. All patient have to do is brush his teeth 3-5 minutes. 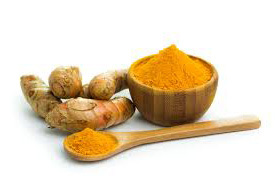 Turmeric would leave stains on patient’s toothbrush but it is not important if it would whiten his teeth. This is another possible solution that is proven that helps in whiten the teeth. Patients have to track down a proper substance called an activated charcoal. It would definitely remove stains and make teeth looking shine and pearly white. Patients could find this powdered activated charcoal from stores that sells healthy food. Everyone has the right to know that these natural home remedies can help in the process of having a shiny and pearly smile. Most of them are working by gently removing the dental stains from patient’s teeth. However, most dental workers perform whitening treatments that are much more effective than these natural options. The dental bleaching is recommended for several and serious teeth discolorations. If patients think about teeth whitening method they have to remember that all the procedures mentioned above won’t give them the whitest results. No matter which concentration is applied in order to not cause damage to the enamel. So, total white and Hollywood smile they could obtain only with crowns or veneers made of metal-free ceramics. Teeth whitening would boost self-esteem for many patients. Feeling good on the inside and looking pretty on the outside will for sure make patients smile. Teeth whitening is very attractive procedure but there is always pro’s and con’s of it. Think about it one more time. Consult your dental professional for obtaining maximum result from this cosmetic procedure.